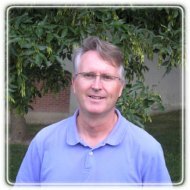 Brampton Therapist: Bill Taekema - Therapist L6V 4H4. Client Directed, In-The-Moment Approach To Psychotherapy. Send A Message To Bill. For more than ten years, I have been successfully working with each of my clients as a whole-being (mind, body and soul) using a client-directed, in-the-moment approach to psychotherapy (in many cases fewer sessions are necessary). I help my clients through guided dialogue, observation and intuition in order for them become aware of their behaviors that are keeping them stuck in negative patterns. The best client / therapist sessions happen when my clients have the awareness that they need a change and are ready and willing to do their personal work (we can not change others, we can only change how we react). I see all my client's transitions happen right before my eyes. It is life changing for my clients and is most rewarding for me!